iTEC Pro stands for Intelligent Total Equipment Control. Compatible with the GreenStar™ 3 or GreenStar 2 system. iTEC Pro is the next step toward complete tractor automation and works with SF1, SF2, or RTK accuracy levels. This innovative solution coordinates machine and implement functions with end turns by utilizing the GreenStar 3 2630, or GreenStar 2 2600 Display, as well as the StarFire™ 3000 Receiver, or StarFire iTC Receiver. As illustrated in the diagram above, by knowing the location of the machine, the location of the boundaries, and a sequence of functions, iTEC Pro enables operators to automate many in-cab tasks. By automating these functions, the machine and implement functions can perform consistently on headlands or internal boundaries. 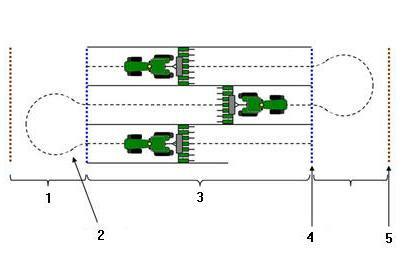 When paired with AutoTrac, this system accurately guides the tractor around an optimal end of row that is configured based on implement and machine dimensions input into the display. By automating these tasks, this system also correctly positions the machine and implement for the next field pass to increase accuracy and efficiency. Operating at optimal speeds with correct implement functions happening, when programmed, is all made easy with iTEC Pro. 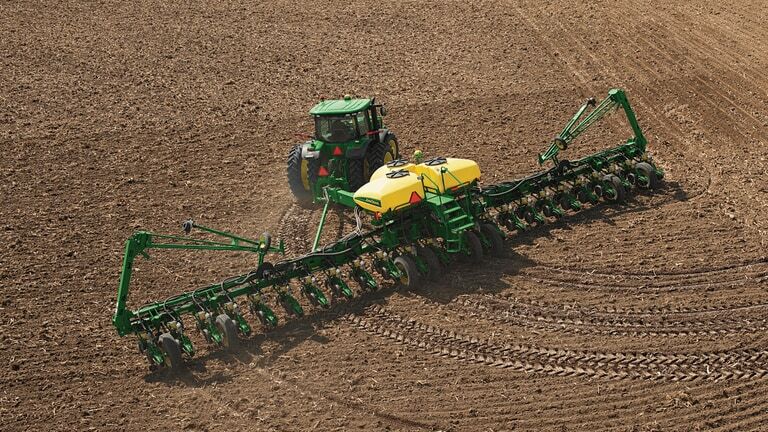 iTEC Pro helps growers reach a higher level of precision and efficiency. iTEC Pro also reduces operator fatigue and increases efficiency. Once they have experienced it, they will not want to turn around without it. There is no better way to start the experience than with an iTEC Pro demonstration. iTEC Pro automatically guides the tractor around the optimum pass and carries out end-of-row functions at appropriate times during the sequence. This functionality reduces input costs and reduces strain on the operator. 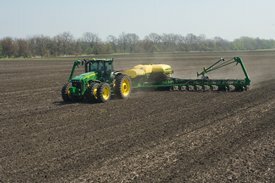 When operators spend their workday manually steering a tractor and implement around during an end-of-row turn while also watching for obstacles and executing end-of-row functions such as raising the planter and down shifting the tractor, they tend to get tired. This causes headland inconsistencies. A potential reduction in headland or internal boundary overlaps and skips may not sound like much at first, but operators who add it up acre after acre could be looking at a substantial savings potential with iTEC Pro. The more irregularly shaped the fields and the more headland turns there are, the quicker iTEC Pro adds up the savings. Using iTEC Pro allows operators to perform faster, more efficient, hands-free headland turns with a consistency that is hard to match, no matter the field conditions or experience level of the operator. When dialed in, iTEC Pro performs consistently and accurately. 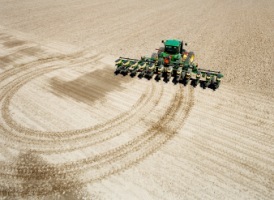 This increases in-field efficiency by saving operators money and time.